It is 1143 and the conflict between King Stephen and his cousin, the Empress Maud, is still disrupting England. However, in Worcester, Catchpole, the Sheriff’s Serjeant, has worries closer to home when a fire-raiser starts to set blazes throughout the city and, in the second fire, an old woman is killed. The Sheriff is away and unavoidably detained and Catchpole hopes to deal with the crimes himself, but the undersheriff, Hugh Bradecote, is summoned to help investigate. Bradecote has problems of his own. His young wife has just died giving birth to their first child, a son and heir, and he feels racked with guilt because he had never loved her the way she loved him. Catchpole and Bradecote have worked together once before and neither relish the thought of collaborating again, but, as the fires continue, they move into a good working relationship and mutual respect. Despite their hard work, the fire-raiser continues his evil work, with further tragic consequences, and Catchpole and Bradecote know that they must discover the culprit quickly before the whole of Worcester goes up in flames. 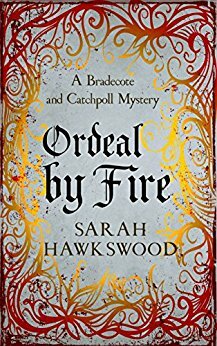 Ordeal by Fire is the second in the series featuring Bradecote and Catchpole but it works very well as a stand-alone novel. Catchpole and Bradecote are very different sorts of men but they are both basically decent people and it is fascinating to follow the development of their relationship. All the surrounding characters are brought to life with great skill and it is fun to follow Walkelin, the young man that Catchpole is training up to become Serjeant when he eventually retires. Walkelin learns new skills and a whole new way of thinking, although he has a long way to go before he is as feared by the evil-doers of Worcester in the same way as his mentor, Catchpole. There is also interesting observations of the role of Jews in the community at this time, as Bradecote meets and respects Simeon, a wealthy and civilised Jewish trader. Ordeal by Fire does not flinch from describing the ugly reality of life in the 12th Century: families left destitute when their businesses are destroyed, healthy young women dying in childbirth, orphaned girls being forced into prostitution to feed younger siblings and the ugly prejudice that will let a Jewish man’s house burn while no-one in the crowd lifts a finger to aid him. I found the characters and description of medieval life in Ordeal by Fire thoroughly engaging and the book is beautifully written. I would whole-heartedly recommend it. A page-turner. Sarah Hawkswood describes herself as a wordsmith who is only really happy when writing. 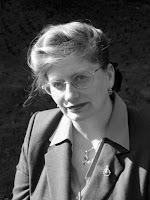 She read Modern History at Oxford and first published a non-fiction book on the Royal Marines in the First World War before moving on to medieval mysteries set in Worcestershire. She takes her pen name from one of her eighteenth century ancestors who lived in Worcestershire, and selected it because the initials match those of her maiden name. 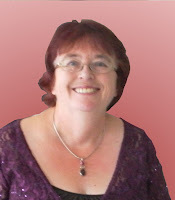 She is married, with two grown up children, and now lives in Worcestershire.